In the mid 18th century a family by the name of sharp established an iron forge which led to the creation of the town of Hamburg. In the mid 19th century the site was used as a distillery, and later as a lime kiln. In 1921 the Wheatsworth co. owner F.H. Bennett purchased the factory and expanded the operations. Bennett also incorporated an existing stone mill building in his factory when he built it. 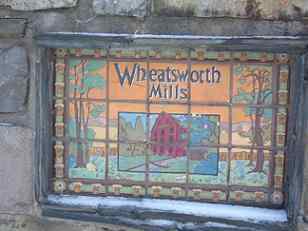 The Wheatsworth company was in operation there from 1921-1931. In 1931 the factory was sold to the national biscuit company, and in 1943 the Plastoid factory purchased the facility. The Plastoid Factory was in operation until 1978. 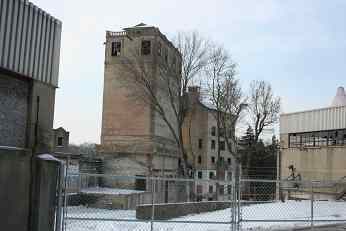 The land and building are now privately owned.